I'm a lucky thing aren't I? Berlin in January and then Paris in March, I know! Paris again is somewhere I have never been before, but always wanted to go, I feel like it is on most people's hit list. Basically I went there because I had 2 days worth of meetings but decided that I would actually stay the weekend and someone from back home in England came out to join me, which was amazing because it meant I would actually explore and go sightseeing whilst I was there. The first thing I noticed about Paris is that it's just so big, even looking on the map you see all of the places you want to visit are at opposite ends of city! I'm used to the vast size of London but since moving to Florence where everything is but a mere 20 minute walk I guess I've kinda got used to that now! I won't bore you with what I got up to on the two days of working, so I'll just focus on the fun stuff we did do! I also must point out it was bloody flippin' cold, almost too cold, I should have really checked the weather before packing but what can I do! Being the type of person I am, I would walk anywhere, I really don't mind how long it takes because I think you can see some utterly beautiful things when you are just walking down the street! We kept most of our sightseeing to Saturday and when I say that I literally mean we walked miles going from A to B! We went up the Eiffel Tower which was pretty cool but because there was snow on the top it meant we could only go to the 2nd floor which is about half way up, the view was still great but I was a little gutted that I couldn't go all the way up! We also went to the Louvre, we didn't go in but it was quite striking because the surrounding buildings are grand and are traditional with their design and yet right in the centre was this structure like a shard of glass nestled between them so it was really beautiful! We also walked along the Champs Elysees, which had a real luxurious buzz about it, all of the designer shops, all of the people which such chic fashion sense, it did almost remind me of London and you know how much I love London! This then lead to the Arc de Triomphe , another beautiful piece of architecture and massive! We also stumbled across some other places but I really love how European countries pay attention to detail, even when you look up and see the cast iron railings on the balconies of people's homes, just stunning! I ate a lot of food out there, I mean, French pastries...is there anything better? Basically no! But what I found with most restaurants is they are catered towards the tourists in the sense that regardless of what restaurant you go into the menus are very similar, burger option, steak option, duck option, pasta option but this could just be the places we ended up, I'm sure there are some great niche places that really showcased the French cuisine! In one place we had a cold meats platter that also had pate, but I must admit I really didn't like it, I think Italy has spoiled me when it comes to cold meats! But the bread, the French really know how to do, I could eat the bread all day long! I guess I do have to mention the price of things, Paris is expensive, especially the drink/alcohol, I was pretty surprised how much a drink costs and for the actual quantity, it's pretty bad! I think if you're coming out to Paris, expect to pay more! The language is a little tricky, like I never experienced anybody being rude to me because I didn't speak French but I definitely feel there is an expectation to speak the language which is understandable but quite hard! 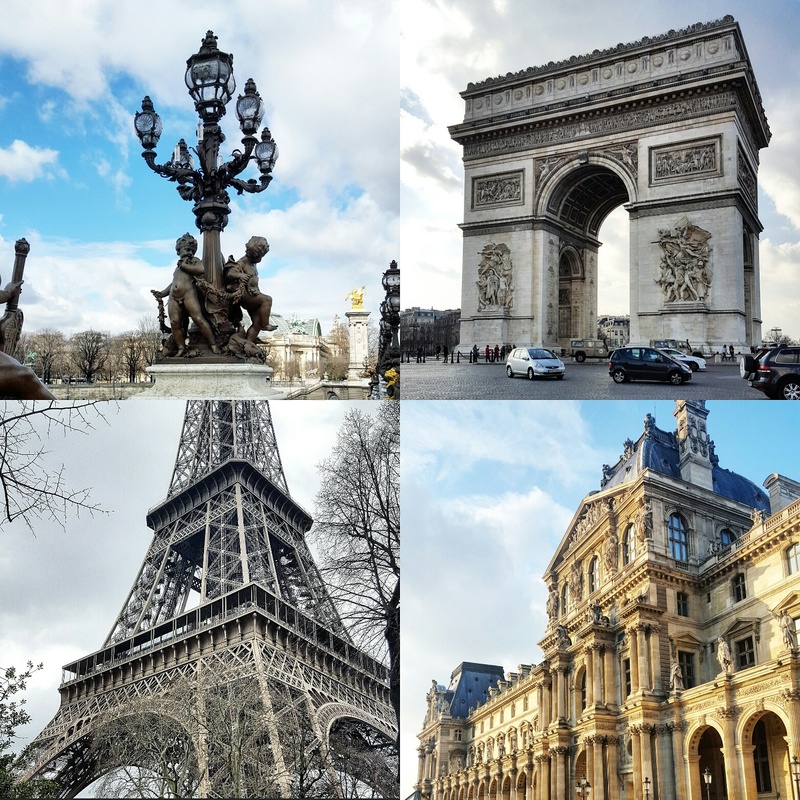 I would definitely say that Paris is big enough to have something for everyone, whether it's Irish pubs you're into, restaurants, sight seeing or even metal music! I had a great time in Paris, for several reasons just wish I had an extra day!